Within the next few weeks, A&LGC will be unveiling their new high quality coaching and practice facility (The Academy ), greatly enhancing the Club's capability to offer golfers the full golfing experience . Golfers of all abilities, from beginners to experienced, can benefit from top class coaching from our professional staff. Whichever aspect of your game you want to improve, there is the Driving Range, and the Short Game Facility (probably the best in the area). If that wasn't all, then all the skills developed can be then tested on our acclaimed 18-hole parkland course. There is free parking, and loan clubs will be available to hire. Ball availability for both facilities is via the Reception area within the Driving Range. High quality Srixon golf balls will be utilised across the Driving Range and Short Game Area. 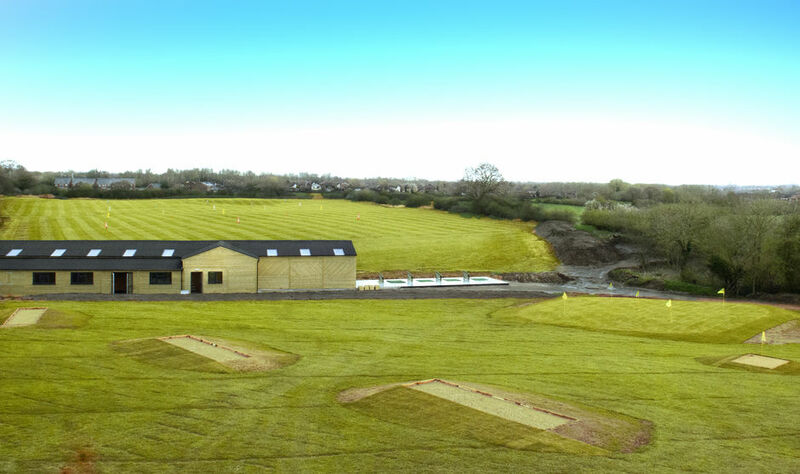 The range comprises 14 floodlit bays (9 covered and 5 in the open), and a target area that will cater for the 300+yd "big-hitters". There is also a fully equiped coaching studio, with a full-time PGA coach, who can be contacted here to book all types of indiviual and group lessons. ​The Short Game Facility will provide a practice area for Ladder Drills, Bunker Play and Chipping.